This Shabbat we read Parashat Haazinu, which includes the Song of Moses. It’s a rather difficult passage to read because it is full of criticism and prophecies of wrath. Why was it written and what can we glean from it? Jonah had a professional fear; he knew that his prophecy of calamity would not come true. You could say that he already expected that God would spare the city of Nineveh, and he would be seen as a false prophet. In the portion, we read about the moments before Moses’ life ends, when the reins of leadership pass from him onto Joshua. It is no coincidence that the last chapters of the Torah discuss the numerous warnings that Moses gave to the people of Israel. He knew that his time was limited and that they were approaching the entrance to the Land of Israel. In the Promised Land, the natural order of the universe would finally resume and things would go back to normal. This means that there would no longer be manna falling from heaven, a pillar of cloud by day and a pillar of fire by night to guide them, and Moses to keep an eye on everyone. Therefore, the last chapters, including the Song of Moses, serve as a final will and testament. After many warnings from Moses about all the evil that could fall upon the people of Israel, the Lord revealed to him on his last day that the Israelites would eventually leave the path of righteousness and would suffer as a result. They would suffer so much that they would even be in danger of extinction. In this verse, God threatened to erase the memory of the people of Israel from the face of the earth. In my opinion, this verse and others like it should be a warning light to Israel today, and even more so to us as the body of Messiah. If God was willing to destroy the people of Israel, and He did not destroy them by virtue of His promises, where do we stand today? Are we any better? Are our countries, nations, and communities any better than this? Like in the case of Sodom and Gomorrah, are we similar to the 50 righteous people that by virtue of our existence God would choose not to destroy our nation? Why Do We Still Need to Repent? This Shabbat, we are just a few days following Yom Kippur, the holiday that is considered to be the most feared day in all existence, the day of God’s judgment. We all know that Yeshua is the pure and perfect atonement for us, our Messiah is the true sacrifice of Yom Kippur. However, His sacrifice comes not to replace the act of repentance, but as a result of it. We repent, admit that we made a mistake, express a sincere intent to change our ways, and then we offer our sacrifice. The sacrifice shows the seriousness of our words, it pays the price on our behalf. In our case, the sacrifice we have is the purest and holiest, Yeshua. In Ecclesiastes, Solomon said that there is a time for everything: there is a time to be silent, and a time to speak, there is a time to cry, and a time to laugh, and there is even a time to kill, and a time to save lives. The same goes for us as believers, we endure different seasons. There is a time to rest, full of confidence in the salvation of our Messiah, and a time to reflect on the course of our lives, to rethink and examine our faith. The Ten Days of Repentance and Yom Kippur are the most appropriate days for self-reflection and soul-searching.These days are meant to make us pause the crazy race of life and do a personal reckoning, in which one examines himself in order to consider his very existence and his standing before God. Man tends to see himself as the center of the world, and these days are supposed to cause him to think about himself and his true dimensions. Such as his dependence on power and the fact that he has no control over numerous things in life, this includes blessings and curses, natural disasters, sickness, and death. We sometimes think that we are invincible to God’s wrath, but if we do not repent, we too will suffer from the anger of the Almighty. If God was willing to punish the people of Israel with 2000 years of exile, plagues, and enemy occupation, what prevents Him from punishing us now? Could it be the very fact that we are believers? Is this belief prevalent in our daily lives? What will we take with us after Yom Kippur and after reading this week’s parasha? On the second day of Yom Kippur it is customary to read the Book of Jonah. I want to combine Moses’ prophecy of calamity in the Song of Moses with Jonah’s revelation. We read together the story of Jonah every year; a wonderful book from which we can learn a great deal. You can learn about prophecy, mercy, forgiveness, and morality, to the important lesson that all of creation is the masterpiece of God. 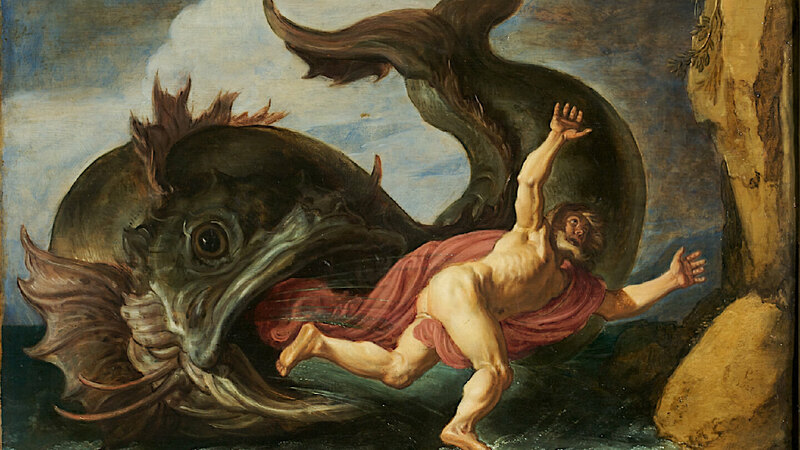 It is customary to think that the repentance of Nineveh is the central lesson in the Book of Jonah. In my opinion, one of the main points in this book is that there are higher values ​​than personal dignity and the fulfillment of prophecy. These values are saving lives and mercy from the hands of God. The book concludes with the following idea: If Jonah was concerned about the plant which he did not grow, how much more would God be concerned about His creation? This is the final point of this book. The second lesson I take is that we cannot sit and look at our surroundings from afar, just like Jonah sat under the safety and shade of the plant. We are a part of this people, and everyone is part of a community and a nation. We must not separate ourselves as believers from the people and the environment in which we live. Our work as believers is to plead with God in order to spare our nation from the severity of the decree, because in the end, when our people are punished, we suffer as a whole. Our lesson from Jonah is that God’s desire to forgive is bigger than His desire to punish, and our job is to intercede on behalf of other people, to tip the scales in favor of forgiveness rather than punishment. I believe that this is also the lesson that we can take away from the Song of Moses, which ends with the promise of atonement for the Promised Land and the people of Israel. I pray that God would bless this new year, that it would be a blessing for all of you and all of Israel, that the people of Israel would open their eyes to the true Yom Kippur sacrifice, Yeshua the Messiah.